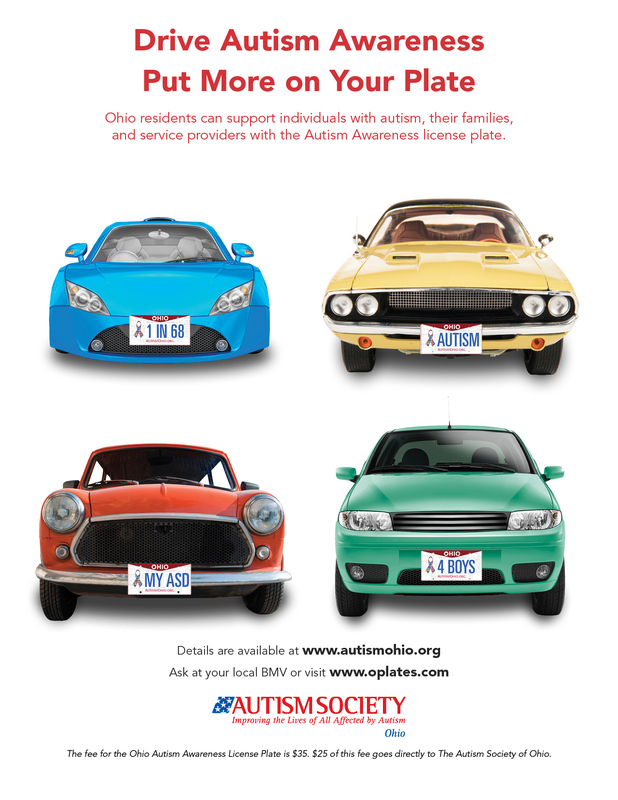 Support ASO and the local affiliates by purchasing Ohio's Autism Awareness License Plate. The annual fee for the Autism Awareness Plate is $35. $25 of your fee is donated to Autism Society of Ohio and used for autism awareness and programming by ASO and local affiliates and throughout Ohio. To order a plate, visit your nearest Ohio Bureau of Motor Vehicles location or go to www.oplates.com.